The unsurpassed privacy, beauty, and strength of glass block is available in preassembled vinyl framed or frameless windows. LightWise® Windows are preassembled glass block windows that are a wise choice when you want the beauty and durability of real glass block with less installation hassle. LightWise® Windows give you a combination of features you won’t find in any other glass or acrylic block window. 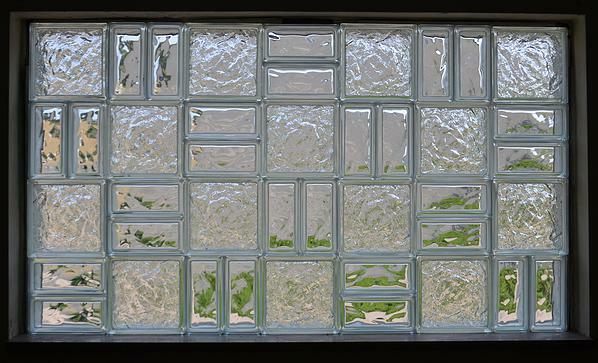 It’s never been easier to use glass block for window applications. LightWise® windows install like traditional windows by placing the glass block in the window opening and fasten along the built-in nailing flanges which are now set back 1¼” to fit all siding and stucco applications. The glass block is bonded with silicone for an all-glass look, so there’s no need to hire skilled labor – and there’s no clean-up hassle. This makes the LightWise® window system the most cost-efficient and quality-consistent way to install glass block windows. What really sets the LightWise® window apart from the crowd is simple: it’s real glass block. LightWise® windows will not scratch, burn or discolor, providing years of timeless beauty. Plus, no other window system looks quite like a real glass block window. 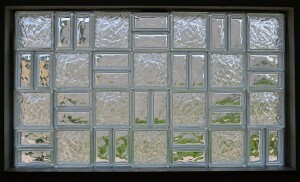 You get the security, durability, and beauty of glass block for about the same price as any other specialty window. Only the LightWise® Window can make light dance the way you have come to expect from glass blocks and it’s available in two distinctive patterns allowing you to control privacy and light transmission. We have what it takes to make a room really special – all at a cost that makes the LightWise® Window easy to recommend. Winner, 1998 Today’s HomeOwner Magazine — Best New Products Award.